The official WhatsApp page explains us about the new feature, i.e., deleting the sent messages in your WhatsApp account. In this article, I am going to explain you its working process and how to activate it. This is not a rumour as the WhatsApp itself has just confirmed the new message deletion option. The company has published on its official page with a detailed manual in which it explains how the new delete sent message feature option will work with which we will be able to undo a message that is already sent before it is read by the other person. Finally, it is called as ” Cancel a message “. 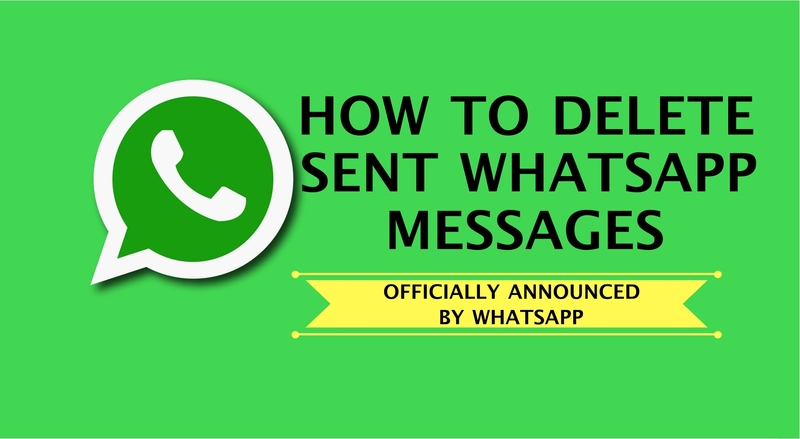 To cancel a sent message in WhatsApp, the only requirement is that both the sender (that is you) and the recipient (that is, the other person) should have the latest version of the application installed. This detail is fundamental since otherwise the message will not be erased even though it shows the message that it has been cancelled. That explains that in the last beta this option will not work properly, and when it arrives this novelty will be essential that our contacts update the app for the deletion to work correctly. On the official WhatsApp page, WhatsApp explains that the time to revoke a message that has already been sent will be Seven minutes. And yes, you must be fast because you will have 7 minutes to erase any message that is sent. After the time limit, you will not be able to delete anything. As we already discussed that to eliminate WhatsApp messages you should know that you can not do it if your contact does not have the option enabled. That is, if you have sent a message to a contact and you want to delete it, you can not do it if your contact does not have the latest version of the app. 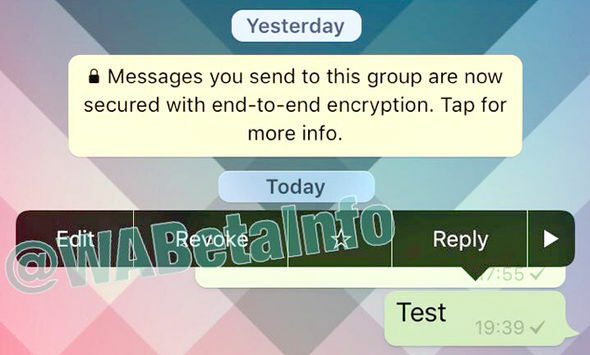 The same happens in groups, to be able to delete messages in conversations with several members, all of them must have the latest version of the application. Open your WhatsApp and the conversation with the message you want to delete. Press on the message or messages (if there are several) until the ‘Delete’ option appears at the top. Once here, you can delete messages for everyone or just for you. Select the option you want and your message will disappear. Of course, deleting a message will not go completely free. It will not cost you money, but your contact will know that you have deleted something as it will give you a notification that says “This message has been deleted“, so maybe curiosity will overtake you and end up asking you what you have deleted. The new feature is already available in the latest version of the app on iOS, Android and Windows Phone, as well as in the web version of the application. If you still do not enjoy it on your mobile, it will be enough to update it and have a little patience, since it will arrive gradually to all the phones. This is how you can delete the sent messages in your WhatsApp account within 5 minutes and it’s working. What do you think about this WhatsApp new feature? Is 5 minutes is enough to delete the sent messages in WhatsApp? Share your opinions with us in the below comment section. Which WhatsApp version you are using right now?